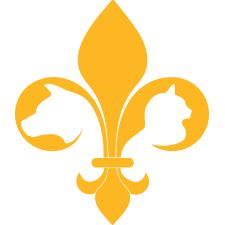 Clearview Veterinary Hospital is the preferred animal hospital of southeast Louisiana, not only because of our compassion and experienced staff, but for our unwavering dedication to providing advanced services for your pet’s optimal care. As our promise to provide you and your pet with high-quality services, we take the extra step to ensure that your pet feels like a part of the Clearview family, every time we have the pleasure of seeing them. Serving our pet families with superior care for more than 40 years, we are proud to offer ultrasound examinations as a part of our diagnostic testing services. While you may be familiar with ultrasound examinations in humans, the same non-invasive machinery can be used for your furry friend, for a range of different applications. By sending a harmless, high-frequency sound wave through your pet’s body, ultrasounds are a wonderful way to view the inside of the body, making it easy to evaluate your pet’s organs. In pets, ultrasound is most commonly used to evaluate the liver, kidneys, bladder, and other abdominal organs. Ultrasound can also be used to evaluate the heart and virtually any other part of the body that sound waves can reach. This technology gives us an in-depth look at your pet’s health, ultrasound evaluation is an irreplaceable tool to ensure their optimal health. To schedule your pet’s ultrasound appointment with Southeast Louisiana’s Top Rated Local ® Veterinary Hospital, get in touch with us today. We look forward to having you and your pet join the Clearview family.